Have you been everywhere for accurate drum tabs? Experience ours. 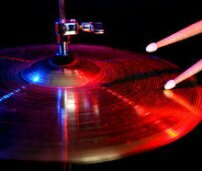 We write each drum transcription carefully and can guarantee the accuracy of our tabs. Written in 1993 by Tom Petty, this song was considered by some to be a reference to drugs. Apparently this is not true, as the original name of the song was "Indiana Girl" (as in the reference in the Verse). For drummer Stan Lynch, this was th last of the recording sessions with Tom Petty and the Heartbreakers. He left the group in 1994 after 18 years with the band. His first instruments were piano and guitar and he only began taking drum lessons because he was continually getting into fights and his parents reasoned that beating on the drums would disperse some of his aggressive behavior. Throughout his career, Lynch contributed to albums by a truly amazing list of artists including Jackson Browne, The Byrds, Bob Dylan, The Eagles, Eurythmics, Aretha Franklin, and Don Henley. The drum part to this song is pretty typically of songs by Tom Petty and the Heartbreakers, The tempo is moderate at 86 BPM and is basically an eight note groove with some 16th kicks on the bass drum. An overdubbed shaker or maraca part lends motion to the beat. Perhaps the most interesting thing about the drum part is Lynch's us of 16th note triplets and varying rests in the fills. All in all, a good song and if you are a fan of Tom Petty and the Heartbreakers, probably a song that you will want to learn. The Heartbreakers have been one of our most requested band as far as people ordering transcriptions. These would be great songs for beginning to intermediate drummers.